There is no one there to catch me, but I would love to learn to fly. My eyes, playing along the loose edges of certainty, cliff faces and curbs, I’m courting a potent notion with intentions of taking flight. 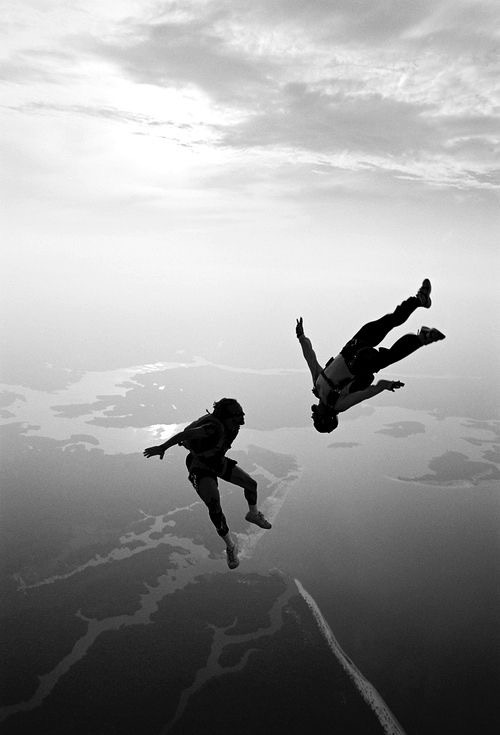 A featherless free fall that could grant a taste of freedom. How fine I’d feel, untethered from any holding onto earth. I have no desire to be held captive by these footprints beneath my feet. I’ll make my mark then leap, liberated in glorious flight until gravity decides otherwise. She is the stubborn voice intent on foiling any escape. I can’t begin to count the takes offs that didn’t make, the break ups she couldn’t take, you see gravity is a crude lover who just won’t take “No” for an answer. She pulls at me with every leap, I feel her begging for my decent. I’ve learned to time my leave from her, I heave myself from ever knowing her and count the feet until we meet again. It’s a tiresome dance that I endure until my legs have spent there strength, there is no excuse to settle for the prisons of stale foot prints. Inside these lofty bounds I see the power of possibility. My heart flutters around my chest, intoxicated with pure adrenaline. The never knowing has grown addictive, it has nurtured a readiness to fail. Now I always look and leap, this way I can see her embraces coming. I never know the tangibility of a dream until the leap confirms it’s fullness. I could speculate and spectate but that’s is how mysterys stand untested. At my footings edge there lies a world of questions only bravery can answer. There are no new answers to these in the well worn tracks of comfort. I constantly test my courtship with certainty at the edges of reason, leaping into the haze to confirm the mystery of my possibilities. Life is too short to settle for the prisons of stale foot prints.